For the better part of my turkey hunting career, I have had a pretty low key existence. I have never been invited on a "celebrity" hunt and have pretty much hunted with just friends and family. I have not been blessed to hunt with some of the top dogs in our great sport, although I have watched them astutely on videos through the years and have been fortunate to interview many of them over the past year for articles on Wild Turkey Report. Though I may lack firsthand knowledge of what hunting with some of these icons of the sport would be like, I have a pretty good idea of who I would call on in a given situation if they were in "my bullpen." So I will proceed I give you, in my humble estimation, I who I would pick for each situation listed below and give my reasons why. Keep in mind that again, this is based off of second hand information, and that so many hunters that I fail to mention could adequately handle each task. If I had to call on a guy that thinks like a turkey: Several guys come to mind here, mainly because all exceptional turkey hunters seem to possess an uncanny ability to think two moves ahead of a turkey. But since I'm only allowed one pick, I'm going to go with Mark Drury. Often described as a "thinking man’s turkey hunter," Drury possesses a mind that resembles a mathematician more so than a gobbler chaser. He understands the quarry he's hunting, is an excellent caller, and combines all his tools to have a marked advantage over spring gobblers. He is truly poison in the woods and "sees the big picture" in slow motion as it unfolds at the speed of light. If I had to kill a hard headed Deep South turkey in a clear cut: Bob Walker has been guiding at Bent Creek Lodge in West Alabama for over 20 years, and has developed a knack for putting his clients in the position to kill turkeys that are in some of the south's toughest obstacles: a fresh clear cut. Think a field turkey is hard? Try a field turkey that has snags and brush piles in between you and him. And Walker, who is an excellent caller and one of the featured experts on Mossy Oak's Turkey Thugs, has to hunt the same tract of land every day of the season, meaning he can't bump those turkeys and educate them. 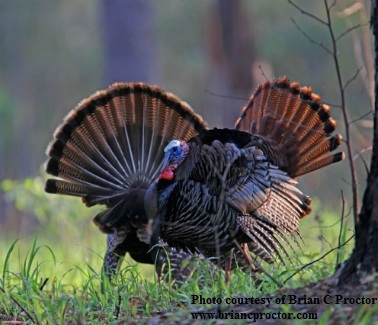 Simply put, he's as good as they come on southern longbeards. If needed woodsmanship to kill a turkey: Kentucky's David Hale, of Knight and Hale fame, learned to hunt turkeys in an age where there were few and calling was an afterthought. He learned to use the terrain and his woodsmanship to get into position on turkeys, which only enhanced his success when modern call technology arrived. In an age where hunters seem to rely more and more on the latest and greatest gadget to be successful in the spring woods, Hale still bags wads of gobblers with the tried and true tactics of the old breed of hunters. If I had to drag a turkey off the side of a hill: Larry Shockey has hunted all over the country, but does the bulk of his hunting in the hills and hollers of the southern Missouri Ozarks. A "low impact" hunter, Shockey uses the terrain and knowledge of the areas he's hunting to slip into a gobblers' kitchen before setting up. In addition to being an spine tingling caller, he's as stealthy as they come, making him the perfect hill country gobbler killer. If I had to “just kill one” if the fate of the world depended on it: Now I didn’t say the hunter had to be alive, did I? If I just had to kill a turkey, and rules and regulations were of no consequence, there is only one choice: the late Ben Rodgers Lee. In a day in which “mainstream” turkey hunting was just beginning to take hold, Lee was its Michael Jordan, with his tall tales and captive personality. In the woods, legend says that he was pure poison. I have talked to scores of older gentlemen that said he was the deadliest they had ever hunted with. He had great woods skills, was a good caller considering the equipment they had, and knew what it took to get a turkey in the back of the truck. If I had to use patience: I would take some old-fashioned prison shackles and place them around my legs so I won’t be tempted to walk the countryside and abandon the turkey I am working. I struggle with patience, I really do. I guess it is because I am a naturally high strung individual, but I just cannot seem to sit in one spot for three hours unless I know beyond a shadow of a doubt that doing so will result in a dead turkey. It’s just not in my DNA, so I will enlist the help of the manifolds to help me kill that turkey that is hell bent on taking his time.